Affected by the plains, deserts and mountains, Colorado’s location and landscape make for a cool, dry climate. 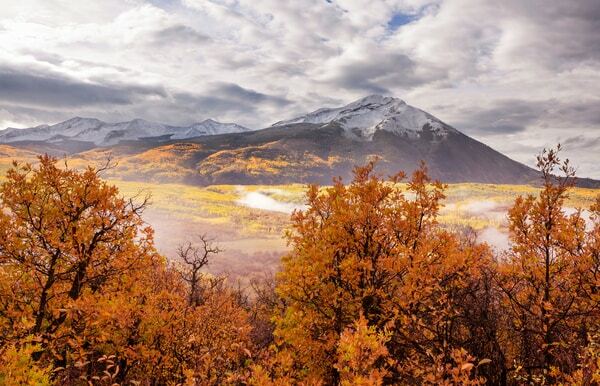 Due to its semi-arid climate, Colorado’s temperatures fluctuate a great deal from night to day. Elevation changes leads to dramatic temperature differences over a short distance. This region of Colorado is often dry and multiyear droughts are not uncommon. Dry conditions increase the risk of wildfires. Prevalent thunderstorms in the spring and summer and can be quite severe. The thunderstorms can often lead to occasional flooding. Warm weather that rapidly melts the snow in the mountains can also cause flooding. Damaging hailstorms also occur in a region called Hail Alley, an area that receives more hailstorms than any other part of the country. The Eastern Plains are also a part of Tornado alley and at least 40 are confirmed every year. Once thought to be a small threat, improved storm detection has found they’re common. One of the greatest threats to Colorado is the flash floods. Localized thunderstorms can be intense, causing flash floods.